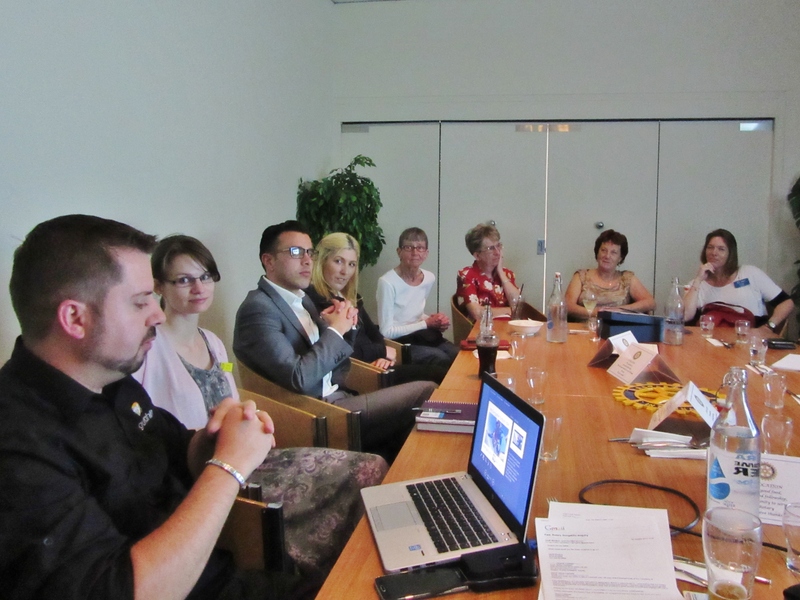 Gungahlin Rotary Club has plenty of news this week! Click on the link below to check it all out. Please click on the link below to enjoy our news from this week! Last Monday night we welcomed our guest speaker Mark Scarborough, founder and manager of My Gungahlin Website and Facebook page. Mark has been highly successful in providing an effective way for Gungahlin community groups and businesses to promote their presence within the region. My Gungahlin assists in developing strong networks and linkages between residents, workers, businesses and community groups. It also the place to find local news, articles of interest, local events and listing information for sporting, community & support groups, as well as businesses and schools. Events that are of community interest, such as open days, festivals and fetes, are listed for free in the calendar of events. Businesses can subscribe to My Gungahlin for a relatively small fee to promote their business and also take the opportunity to access marketing and branding services, such as website design, graphic design and printing. Children 0-14 – 24.6% of the population, people over 65 – 4.7% of the population. Of people over 15 years old 54.8% were married & 9.1% divorced or separated. 6% people in Gungahlin were born in Australia. 47.1% of people both parents were born in Australia, 40% both parents were born overseas. 1% reported their religion as Catholic, 24.7% reported as no religion. English was reported as the only language spoken at home in 68.9% of homes, 31.4% reported two or more languages were spoken at home. We also welcomed Alison Cantwell, a second year student in Nursing at UC, and active Rotaractor and our club’s nominee for RYLA (Rotary Youth Leadership Awards). Other guests included Gail, Robyn, Anna & Shaun, Clare and her son, Tim. Members were also delighted to welcome home Member Holly, back from her time in the US. Holly quickly put her name down on the club’s duty roster. Next Monday, 10 November, we meet at the Soccer Club and welcome Guest Speaker, Mark Scarborough, from My Gungahlin – website & social media channels where everyone can find news, information and events for the Gungahlin region. Last Monday we held our Vocational Awards meeting. The two awardees and their partners joined us, as well as Beth Peters from the ACT Chamber of Commerce and Business. We also welcomed the attendance of AG Graeme Kinraid. Ian spoke to Susan’s award and Bob spoke to Anna’s. Beth Peters spoke about the importance of building and retaining linkages between vocational stakeholders. I am writing to let you know we are back from our trip. It was the best experience of our lives and we’ll never forget it. The orphanage (in Cambodia) we helped out appreciated all the work we did for them and the money we raised with your help enabled them to do a project they’ve been wanting to do for a long time. We would like to thank you so much for all your support and donations for the trip. “Our Youth, Our Future” 14-16 November at the National Convention Centre, Canberra City. Districts 9710 and 9675 are bringing together over 100 Rotary Clubs for this Conference. Cost: $120 for Conference including lunch, morning & afternoon tea. Dinner Friday night $60pp with Guest Speaker Brendan Nelson, plus dancing & entertainment by local band Big Idea. Dinner Saturday night $65pp. Be entertained by The Lisa Keen Trio and a cabaret performance by The Stilettos. The Key, is edited by Liz Friend, pr.rcgungahlin@gmail.com Contributions from members are very welcome. Please send them to me so they can be inserted on Wednesdays and edited on Thursdays, for distribution before the weekend. 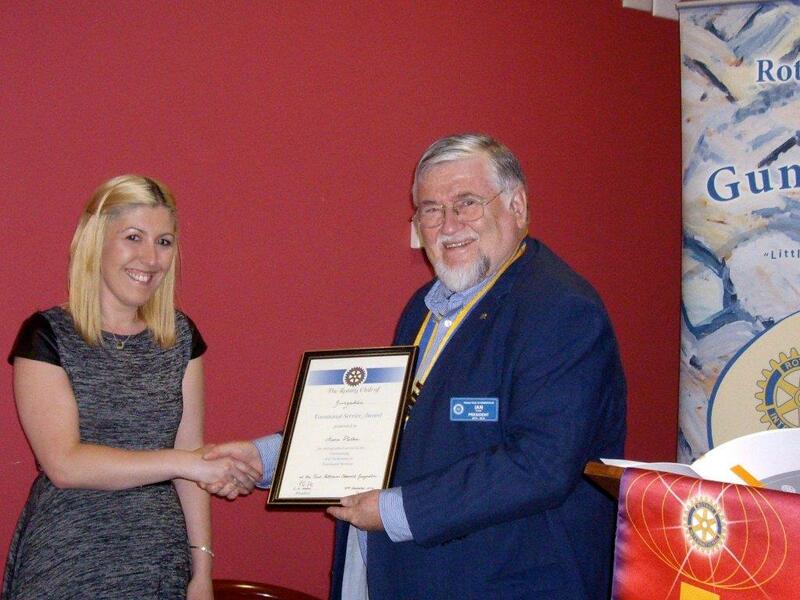 Next Monday we will meet at the Soccer Club for the 2014 Gungahlin Rotary Vocational Awards. October is the month when Rotary clubs are asked to focus on the vocational avenue of service and in the past couple of years we have recognised the contributions of a teacher, a dentist and an automotive technician. In 2014 Club members have again submitted the names of members of the community to whom recognition should be accorded and as October draws to a close, we will celebrate and recognise two local residents who have contributed their vocational skills to the significant betterment of their community. Beth Peters, Partnership Broker for the ACT Chamber of Commerce and Industry, will present the awards. 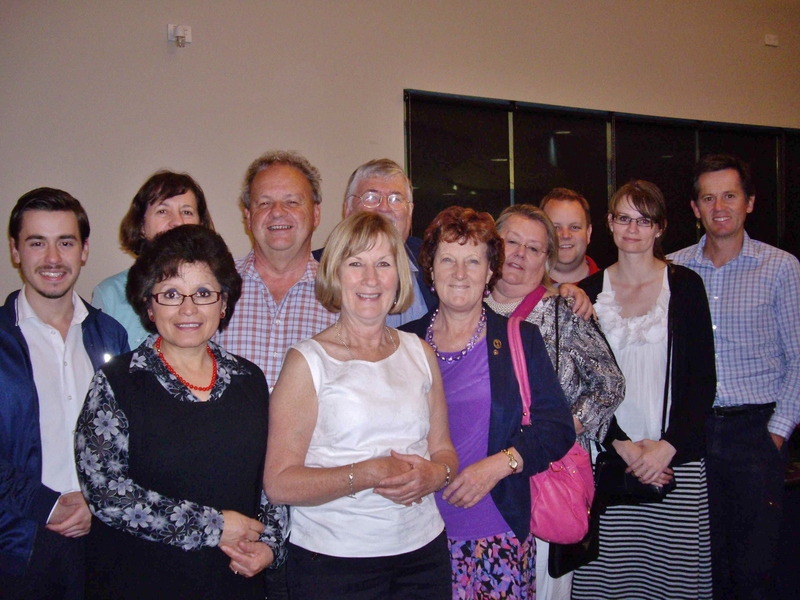 Last Monday night, members joined other Rotarians for a Trivia Night, in Kambah. It was a team effort to find answers for all those tricky questions but our team, Guns ‘N Roses, was very happy with the final score. 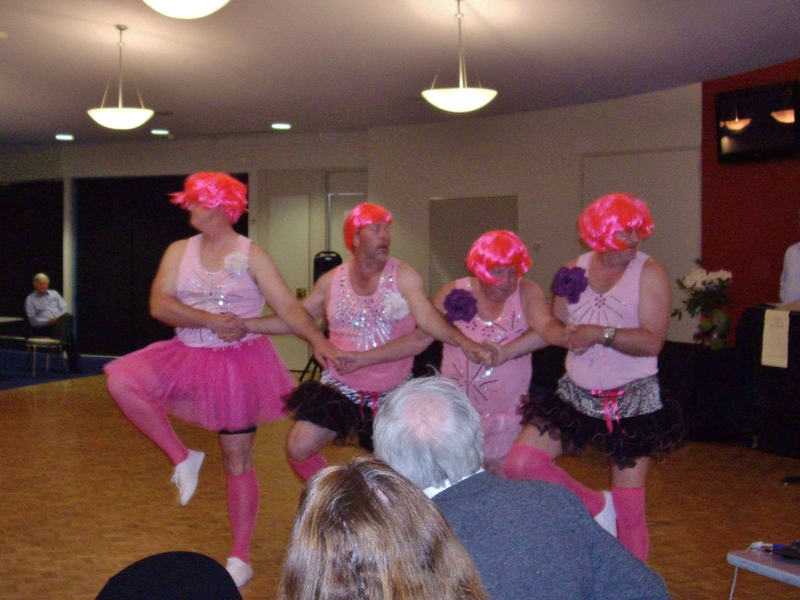 What can be said about the wonderful performance by the Sugar Plum Fairies? The photo says it all! Thanks to the Rotary Club of Canberra Weston Creek for a great night. The Club recently received confirmation of our success in gaining monthly BBQ dates in 2015. Although this will keep us busy it will certainly give us valuable funds and community exposure – a great outcome. In addition, President Elect Sandra has sought expressions of interest from members for the many responsibilities that need to be carried out to keep the Club functioning well. Each and every member of the Club needs to consider this and respond positively. New Gungahlin Rotary Website launched! This past week saw the launch of our new Club website. It’s a whole new bright look, very much geared to attracting greater interest in our activities, placing us squarely within our community and displaying the opportunities that membership of Rotary can provide. The Club expressed its sincere thanks to former member Geoff Windsor, currently in India, for all the voluntary work he has put into this task (which would have been very expensive to purchase commercially). Check it out. 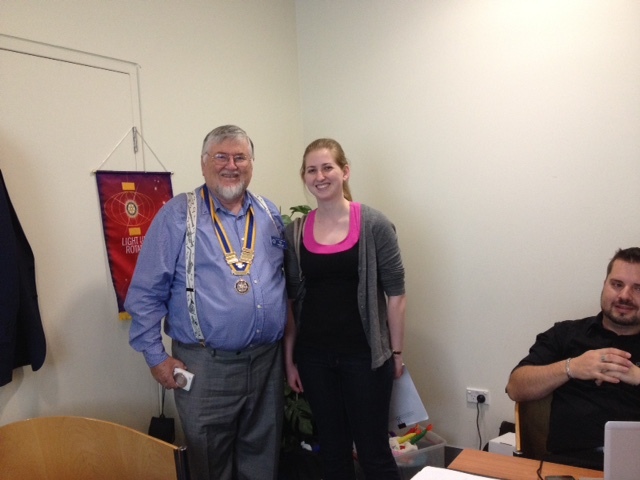 Gungahlin Rotary looks like having half its membership at the weekend event – a great commitment. On the recommendation of Liz, our Convener for International Service, last week’s Club meeting agreed to contribute $1000 towards the construction of an isolation ward at the Children’s Hospital in Bo, a major town in Sierra Leone. This is a frontline locality in the struggle to limit the spread of this frightful disease. This project is being sponsored by the Rotary Club of Turramurra, in Sydney, which will be the immediate receiver of our donation.